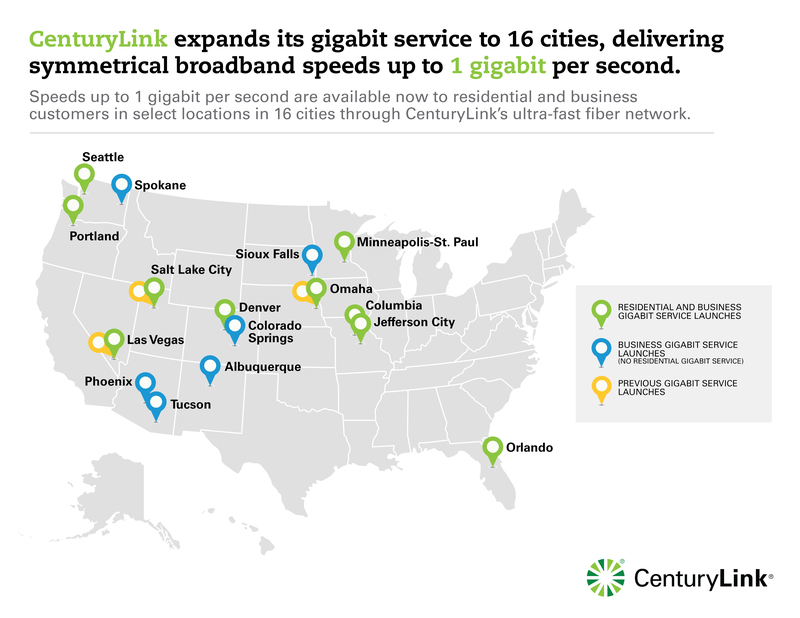 In a remarkable announcement today, CenturyLink, formerly known as “the telephone company”, says it will bring gigabit Internet service via a fiber-to-the-home network to Seattle. Seattle has been left at the altar of fiber-to-the-home high-speed Internet twice before — first byGoogle and then by Gigabit Squared, which isnow being sued by the City of Seattle over their breakup. Is the third time the charm? Can Seattle Mayor Ed Murray deliver on the gigabit promise that his two predecessors, Mike McGinn and Greg Nickels, could not? 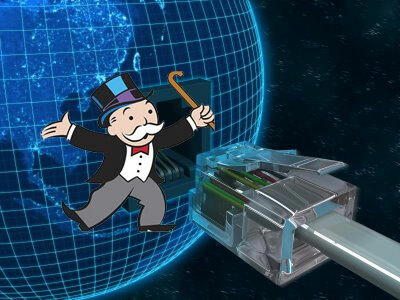 Will Seattle actually see serious competition to the price-gouging tactics of the cable monopolies? A press conference on Tuesday, scheduled 9:15 a.m. at Seattle City Hall, should tell us more. First, a dose of reality. 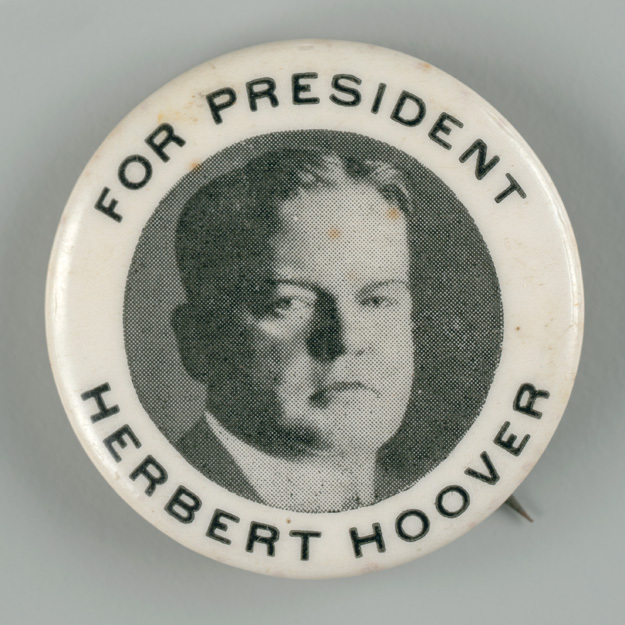 “A chicken in every pot and a car in every garage” – election slogan for Herbert Hoover, claiming that the everyone will be prosperous under a Hoover presidency. The 2010 election is over, the winning politicians are now being magically converted into “elected officials”, and technology in government is marching on, sometimes with different elected and CIO leadership. I’ve blogged before about the difficult intersection of politics and technology. Being a Chief Information Officer in government is, in many ways, similar to being a CIO in any other organization – public, private, non-profit. We worry about budgets, business applications, operating a data center, beating the competition (yes, even in government), and worrying about how to adapt the latest consumer fad technology (Kindle, Android phone, iPad) for use by our workforce. But there’s also a significant difference – CIOs in governments work for elected officials, and those elected officials get a report card at least every four years. A report card from the voters. If they’ve been doing a decent job delivering service, responding to constituent needs, and clearing the snow (alas poor Mayor Bloomberg), they’ll probably be re-elected. If not, a new politician wins the election and becomes Mayor (or Governor or County Executive). Just as in the Federal government, a change in the Chief Executive will often result in a change in the Cabinet – the department directors – including the CIO. And much of that is happening this month, with the departure of good technology leaders such as Bryan Sivak in the District of Columbia and Gopal Khanna in Minnesota as well as a large group of others. But to some extent, we government CIOs also help choose our elected Chief Executive. Clearly we’ve applied for the CIO job and gone through an interview process so we know to some extent the potential that the voters will toss out the boss. But also, in some cases, we’ve actively campaigned (on our own time, of course) and contributed financially to see a good politician win the election. Government CIOs also have a legislative body of elected officials – a City Council, County Council or State Legislature – to help give us direction, set policy and review our budget. Sometimes balancing the wishes of the chief executive versus the legislature – just as in the President versus the Congress – can be a daunting task! From a CIO’s perspective, what makes a good elected official? Wise elected officials – from a technologist’s point of view – ask questions such as “do government employees have the tools they need to do their jobs (cell phones, computers, applications)”, “are we duplicating costs between departments or functions” or “what technology investments today give us the greatest return on investment and service to constituents tomorrow”? Sometimes even more specific questions such as “why don’t we allow employees to use their own smartphones, rather than having taxpayers buy them?” or “gee, why does every department have a different budgeting system” or “how come our police records management system doesn’t connect with our court case management system”? Of course rarely are such questions asked in the heat of an election. Voters are much more concerned about filling potholes and crime on the streets. Amazingly, Seattle presently has a Mayor – Mike McGinn – who ran on a platform which included a significant technology: getting better broadband networks to homes and businesses. And increasingly the “voter on the street” has become tech savvy. Gee, it seems like everyone – even the homeless – has a cell phone. And over 45.5 million of us have “smartphones”. And almost everyone uses the Internet – in Seattle, 88% of have a computer and 84% have an Internet connection. If you don’t have a computer at home, you can use one at the library or a community technology center. The way we live is changing as well, as witnessed by the increasing amount of online commerce (thank you Amazon.com and Jeff Bezos) and social networking. The time may be coming – soon – when voters are just as concerned about the usability of a government website from a mobile device, the ability to send video and photos to 311/911 centers, and being able to electronically find a parking space as they are with keeping the potholes filled. Maybe the day will come when a politician promises a “computer on every desk, fiber broadband in every house and a smartphone in every pocket”. On August 25th I had a chance to participate in a workshop at the Federal Communications Commission discussing what should be in the National Broadband Plan. The FCC is charged by the President and Congress to create that plan by February, 2010. To that end, they are conducting a series of workshops to gather input. The workshops are the standard fare of a government sausage-making machine. The usual vaudeville performers with their usual songs-and-dances protecting their usual patches of the stage and their seats in the theater called the telecommunications market. There are very few representatives of city and county governments, but lots of representatives of “industry”. On the other hand, I’m heartened by the Obama administration’s choices to lead the FCC. Julius Genachowski is the new FCC chair and is one of the primary authors of the broadband portion of the “stimulus act” (ARRA). Admiral Jamie Barnett is the new Chief of the Public Safety and Homeland Security Bureau. He listened intently during the workshop, and the staff of that Bureau appears to be genuinely engaged and interested in this task. These are all good signs that, with the National Broadband Plan, we’ll not get the usual lowest-common-denominator beaurcratized pabulum, but something truly visionary – a roadmap to take the United States from its present second-world Internet infrastructure to an electronic network suitable for the remainder of the century. In my mind – and this was the essence of my talk – that roadmap is simple: build a fiber optic network to every home and business in America. As that network is built, create a fourth-generation wireless network on top of it by placing radio towers at key points throughout the network. I’m sold on fiber optics because of its virtually limitless capacity. As electronics improve, new switches and routers can be replaced on a fiber network, driving it to ever higher speeds. Signals from multiple different competing service providers (Internet, television, video, music, security, telephone etc.) can ride this network, just like anyone’s car or trucking company can ride the public highways. Telephone and cable companies will oppose this vision tooth-and-nail. They have immense investments in existing copper-cable networks and will want to wring every last dollar of profit from those networks. But those copper cable networks are old and slow, literally dinosaurs in the world of fiber optics. South Korea, Japan, Singapore, Australia, Paris, Sweden, Amsterdam, see the value of fiber and are investing in both municipal and national networks. If we listen to the copper-wire-dinosaurs, the United States will continue to fall behind. A fiber network has numerous advantages. I’ve already mentioned the potential to break the telephone and cable monopolies which grip our present electronic infrastructure. By fostering competition, we’re not only going to be improving service, consumer choice and reducing prices, but we’re being “capitalist” in the most fundamental meaning of the word. Really high speed fiber networks have the potential to transform our world – literally. Homes and businesses will increasingly have high-definition television sets. By adding high-definition television cameras to them, along with a fiber network, every home becomes a video studio. Telecommuting, tele-education, tele-medicine, video telephony all become possible. Virtual classrooms from home, routine visits to the doctor, and video-calls with family all could improve our quality of life. Furthermore, with true two-way, high-definition video a possibility, perhaps we can coax people out of their automobiles, to attend classes via video, to telecommute and conduct business at home, traveling less. This, in turn, means greater productivity, less time wasted in traffic jams, less consumption of precious gasoline, fewer greenhouse gas emissions and less dependence on foreign oil. And that means improved homeland security. This transformation simply echoes previous transformations in our history, where the telegraph allowed long-distance communications between cities or continents, the telephone allowed homes across the nation to be interconnected for voice, and the internet brought the web, e-mail and social networking into the lives of almost every American. We’ve done this before – and it has always changed America for the better, serving as an engine of economic development as well as making us more safe and secure. We’ve built national telegraph and telephone networks, and, more recently, the Internet. We’ve built national broadcasting networks for radio and television and cable television. We’ve constructed cellular telephone networks and public safety radio networks. We’ve built the national highway network and then the Interstate highway network. Sometimes we’ve built these networks with entirely public investment, sometimes with entirely private investment, and sometimes a combination of the two. Wise regulation and spectrum management by the FCC has often paved the way. And we can do it again, if the National Broadband Plan is innovative and visionary. Will the FCC and the Obama administration have the vision, the innovation, the leadership and the guts to be this bold? My thanks go to the Association of Public Safety Communications Officials (APCO) for sponsoring my attendance at this workshop. APCO has 15,000 members and is the largest organiziation with a mission to improve communications for our first responders. The full schedule of FCC workshops is here. My presentation is on slideshare here. A more complete version of this blog in essay form is here or link to it in the essay box at the right side of this post.